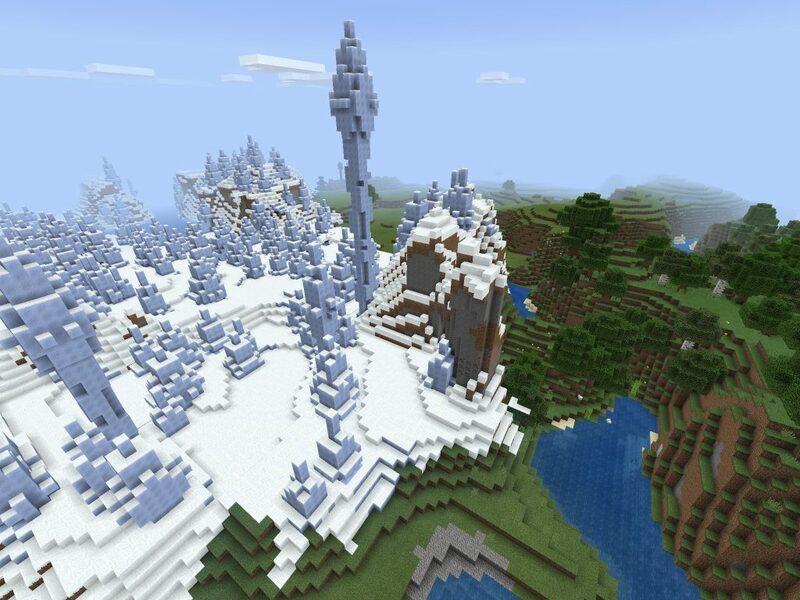 This Minecraft PE seed features ice spikes right near the starting point. 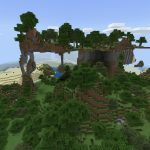 Enter the seed ‘HOIL’ (Infinite) have the landscape generated and you’re just about there. 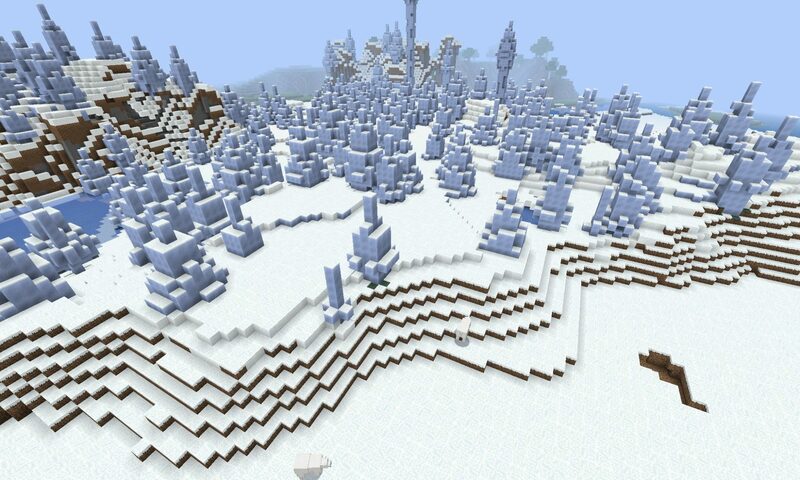 When you appear you will barely be able to see the ice spike plains if you have your render distance turned way up. What you will see when the game starts is a lot of trees, and that’s because you’re on the edge of a forest. Straight in front of you there is a frozen river and ice plains. Head toward that river. You won’t have to travel for more than a few seconds to be able to see the ice spikes starting to appear. Once when we found them there were rabbits hopping around on the ice spike plains. 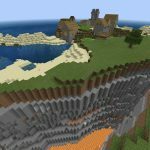 They must have spawned on a nearby biome and hopped over (they don’t spawn on ice spike biomes). 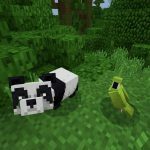 In 1.8/1.9 the rabbits are gone, but there’s plenty of polar bears roaming around. If you need some resources to get started, just head back to where you started. There’s plenty of trees to get your game going. We didn’t do any digging around the game spawn point. If you do, let everyone know if there’s anything good worth going down for! 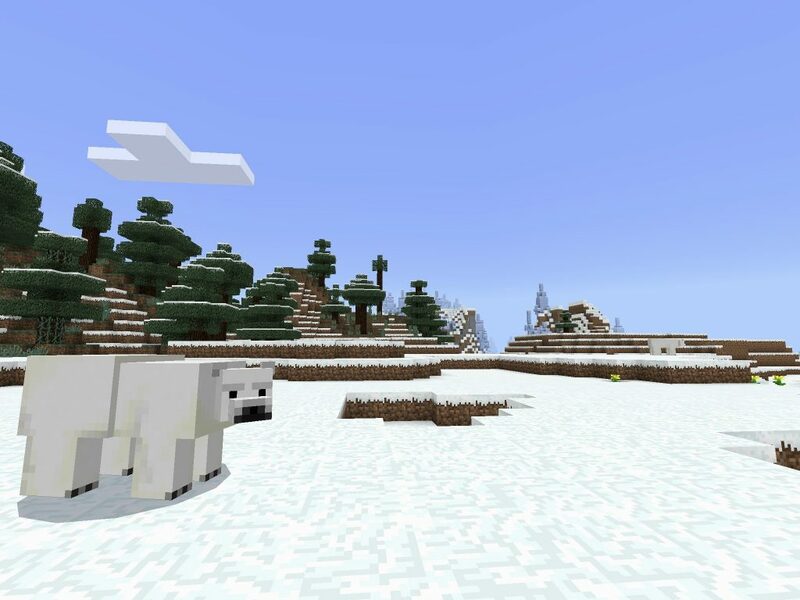 A curious polar bear on the ice plains biome which you spawn on. A very tall, cool ice spike on the edge of the biome.